You can find a complete 2013 Chevrolet Sonic review below the video. How did Midway Chevrolet manage to gather this information? By speaking to the most accomplished automotive writers in the U.S.. This article will tell you exactly what you're looking for. 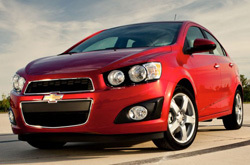 As your Phoenix Chevrolet retailer, you can have faith in on us for authentic information on the 2013 Chevrolet Sonic. Good luck on your Sonic search! When considering the 2013 Chevrolet Sonic against the 2013 Ford Fiesta, Honda Fit, Nissan Versa and the Mazda 2, and you can realize that the Sonic wins over those autos in various parts. Look over the hightlights below. Take a peek inside the 2013 Sonic - view video now! Midway Chevrolet auto repair service in Phoenix is only a click away! Your Chevrolet deserves to be treated in the best way possible - that means Chevrolet factory- trained technicians, authentic 2013 Chevrolet Sonic parts, and the sense of bliss that comes from a 12-month service work warranty. With a hand from Midway Chevrolet's car repair buffs your Chevrolet will run healthily. 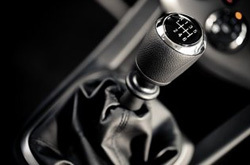 We can get a handle on a task as easy as an oil change, or handle hard to do car service and repairs like Chevrolet timing belt replacements, transmission rebuilds, and strut and shock repairs. Make a positive choice when deciding on a worthy establishment to have your Chevrolet Sonic repaired, and remember: At Midway Chevrolet you can anticipate getting one of a kind service and nominal prices on Phoenix car repair. Take a look below to view money-saving service specials.